Professor Anthony Burke is the Associate Dean of DAB (I+E) and a prominent advocate for Australian architecture and Design, specialising in contemporary design and theory in relation to technology and its implications for the built environment. A graduate of the Masters of Science in Advanced Architectural Design from Columbia University (MS AAD, 2000) and a Bachelor of Architecture from UNSW (B.Arch, Hons 1, 1996), Anthony is an international curator, researcher, writer and architectural designer and director of Offshore studio from 2007-2016. Anthony has lectured extensively in Australia, North America and Asia, including venues such as the Harvard Graduate School of Design, Princeton University, the CADRE labs for multi-media San Jose, Carnegie Mellon University and The California College of the Arts (CCA), Shenzhen University, Tongji University, Hong Kong University and Chinese University of Hong Kong and the Poznan Academy of Fine Arts, and an invited TEDx presenter in Sydney in 2012. An Assistant Professor in Architecture at the University of California, Berkeley between 2002 and 2007 before returning to Australia, Anthony developed the Master of Advanced Architecture degree at UTS. He was an invited visiting Academic to the City of Poznan on behalf of the Poznan Academy of Fine Arts in 2009 and is currently a Visiting Professor a the Beijing Institute of Technology. In 2010 Anthony took the role of the Head of the School of Architecture at UTS before becoming Associate Dean in 2017. Anthony combines scholarly research with design research through creative works, developing exhibitions, installations, events and design projects. In 2007 Anthony was invited to join the OCEAN research network, and in 2008, Offshorestudio was selected as one of five regional practices to be exhibited at the Beijing Biennale in the "(im)material Processes" exhibition curated by Neal Leach. From 2007-2009 he curated "Out from Under, Australian Design Now", an exhibition Australia Architecture which has been shown in San Francisco, Seattle, Hong Kong, Kunming and Guangzhou featuring 16 of Australia’s premiere Architectural practices. In 2012, he was appointed as joint creative director of the Australian Pavillion for the Venice Architecture Bienale creating "Formations; New Pratices In Australian Architecture" exploring new practice models and their impact on design outcomes. Anthony’s creative projects have been exhibited internationally at other venues such as SFMoMA, UbiComp and CAADRIA. In 2010 Anthony launched a national competition for speculative design research in Architecture for recent graduates, Open Agenda. In 2011, Anthony curated a series of pop up exhibitions on Architecture in Sydney for the UTS School of Architecture.He was an invited spokes person for the 2011,2016 Sydney Architecture Festival, the 2016, 2017 Sydney Festival, the 2017 Sydney Design Festival, a "champion" for the Save Our Sirius campagne, and chairs the selection panel for the Droga Architectural Residency for the Australian Institute of Architects. In 2004 he co-convened the Symposia "Distributed form; Network practice" at UCBerkeley, and in 2007 co-edited the book "Network practices: New strategies in architecture and design" published by Princeton Architectural press. In 2010 he co-edited an Architectural Design edition titled "Post-Traumatic Urbanism" published by Wiley. Currently Anthonys research is in defining the value of design and its relation to urban policy for the Government Architects Office NSW, and exploring the intersection of design ethics and new urban technologies. 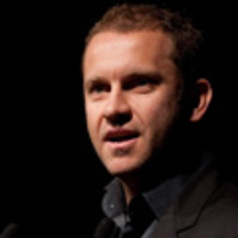 Anthony was chair of the Board for the Australian Design Centre from 2013-2016, sits on the Austrlalian Bim Advisory Board (ABAB), and regularly consults to industry panels concerned with the intersection of technology, architecture and the built environment as well as architectural media and public forums.